By definition, Greater Raleigh is a superb sports event destination. The area has a well-earned national reputation as a collegiate sports capital. Not only do six colleges, including N.C. State University, play exciting home schedules in a myriad of sports, but Greater Raleigh is also a regular host of NCAA and Atlantic Coast Conference championship events, especially in basketball, soccer, baseball, softball and tennis. North Carolina’s Capital City starts 2011 off with one of the biggest celebrations in recent memory as the Raleigh area hosts the 58th Annual NHL All-Star Game and Weekend. The festivities which will be held at venues throughout town, including the RBC Center and the Raleigh Convention Center, will feature various hockey-themed events, entertainment, a Honda NHL SuperSkills Competition and activities. Click Here to learn more. Adenaline Junkie calendar of events. 2011 is here already. It seems like just yesterday we were sitting up in the living room on Saturday morning eating cereal and watching cartoons like the Jetson’s. Now we are literally living in the future with android phones and personal tablet computers… Wow! Well, this year make sure that you stay in the know with things that are going on in the beautiful city of Charlotte and in Mecklenburg County. You don’t want anything to pass you by. For more information on Governmental Services and Information on Charlotte and Mecklenburg Co for 2011 you can visit there website at CharMeck.org. Auston Woods Apartment Homes is a great place to start the new year off right. If you are interested in scheduling a free tour, visit our website at AustonWoodsLiving.com Happy New Year!!! What resolutions do you plan on BREAKING in 2011? Don't forget and don't break your promises! Why is it so hard to make and keep New Year’s resolutions each year? With the brand new decade just right around the corner, there is more reason than ever to hold onto those holiday promises and keep working toward the “You” you want to be. You would be surprised how easy it can be, just within your Auston Woods Apartment Home and Community. We’ve bundled a few of the most popular New Year’s Resolutions so you will feel twice as accomplished when you complete them. Quit a bad habit/Learn something new. Yes, I grouped these together because in a way they can all be helpful to each other. No matter what your nasty tendency may be, it’s nearly impossible to cut it from your life cold-turkey starting on 1/1/11. The best way is to wean yourself off of the habit while filling its place with something you’ve always wanted to learn to do. The learning process takes time to master as well, so as you’re breaking the bad habit, built new knowledge. Did you know you had a fully-stocked Fitness Center and pilates room just waiting for you to make this resolution? Take advantage of the New Year trend AND the conveniently located aerobics and weight machines at no extra cost. You also have a beautifully finished kitchen which you can fully-stock yourself with healthy alternatives to the holiday treats you were allowing yourself to enjoy in excess over the past few months. Spend more time with family/Be punctual. These are the ones I fall short of myself each year. As everyone is growing up and becoming more independent, it can be hard to coordinate family times that please everyone. What you can do is start a schedule for something as simple as dinner at the dining room table or a game night once a week. Write the dates down on a large, well-placed calendar so that everyone in the apartment (especially you) can see it. Keep track of other important dates in multiple colors and try to write times about 15-30 minutes early. We often write blogs about supplementing your heating bill, or different ways to heat your home, but we have been talking to many folks around the Sudbury, Wayland, Weston and Concord area that just want an easy way to use their fireplace. Many of you use your fireplace and hearth more for ambience, heat is an extra advantage. So this blog is for you all. Gas logs and custom made glass fireplace enclosures are an easy and beautiful way to use your fireplace. Gas logs are hand made from ceramic to very closely resemble real burning logs. With the click of a button you can be relaxing with in front of a fire at any time of day. From the designer series to the glass and contemporary series, there are styles of gas log sets to meet every home style and décor. Our gas log collection lets you experience the splendor and warmth of a wood fire without the hassle of wood. 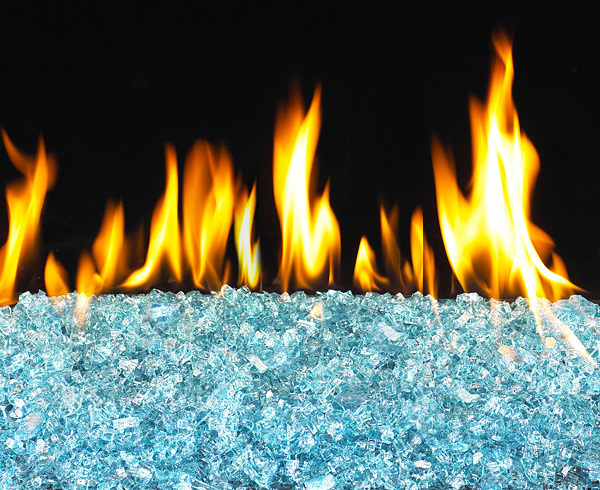 Our custom glass fireplace doors can further beautify your hearth and express your style. With an additional benefit, they dramatically increase the efficiency of your hearth. So even if your hearth is used for ambience rather than heat, glass doors can transform your fire into a work of art and add efficiency as well. Like we always say, we have something for everyone here at West Sport. If you tell us what you are looking for and what your needs are, we can provide ideas that you may not have thought of. Come in and let us help. There are a number of contributing factors that lead to a foundation problem. They include poor and inadequate drainage, plumbing leaks, extremely dry soil and poor soil conditions. A home owner's ultimate nightmare is a basement full of unwanted water due to cracked foundations or other leakage. A-1 Foundation will promptly come to your home and provide you with unparalleled foundation crack repair and guarantee that all of your basement water leaks are repaired to your full satisfaction. Structural repair issues are often very complicated and require specialized knowledge to both analyze and develop repair plans. If left unattended, structural problems will continue to get worse, leading to more costly corrective repairs and diminished resale value of your home. Your home is likely your largest and most valuable investment. Don’t let the problem linger another day. We also offer commercial assistance as well. If you own/manage residential, office, industrial, or retail buildings, foundation cracks and foundation leaks can result in health hazards and loss of income if not promptly and correctly repaired. Which is why we at A-1 are proud to offer an array of commercial services as well as residential. We utilize a unique, high technology approach to repairing cracks and leaks of all kinds using the A-1 Method for structural and nonstructural repairs.We have trained and certified specialists to advise our customers of their options. Our highly skilled team ensures the highest quality workmanship. Contact us today and let us put our method to work for you.